A Melbourne man has created what he claims is a “gamechanger” for the Not for Profit sector and the way aid agencies connect with global funding organisations. Alan Morgan is the Founder and CEO of AidHub, a global information technology platform that he is creating with the help of Microsoft. Originally from Melbourne, Morgan is now based in Indonesia where he set up his own Not for Profit, the Mentor Microbank Foundation, four years ago. He told Pro Bono Australia News that experience inspired him to establish AidHub. “The reason behind it is that corporate funding and Governments are calling for transparency and accountability in aid. It’s a more than $1 trillion industry,” Morgan said. “I can tell you that the experience that we have had over the last four years has astonished me about how the aid industry is funded, managed and how ineffective it is. It actually surprised me. “We experienced first-hand a great deal of corruption in the industry and as a result of that corruption I felt there needed to be something done. Morgan explained that AidHub will be used by Government and philanthropic funding organisations who will require aid agencies to fill out an application form in order to be considered for grants. “By the time they’ve written the proposal or the application for funding they’ve actually built a database,” he said. “Now the funder has that data base and they are able to look at the KPIs and decide if it suitably fits their program. “This is a highly intelligent, integrated piece of technology based on a simple document that enables us to do something useful with it. “The aid organisation goes off and does their aid initiative and along the way the system automatically calls up and sees how they’ve been meeting their KPIs. Morgan said by tracking the performance of aid programs, AidHub would help create the first global database and ranking system of such programs, helping to improve outcomes. “It ranks and scores and publishes the initiatives, but it publishes it anonymously. It can be credited to an organisation or a funder if they want though,” he said. “AidHub enables organisations from the smallest level all the way through to the United Nations running an entire program to manage their initiatives and showcase to the world the best programs ranked and scored by the KPIs. “That’s going to tell the rest of the world that these initiatives in the hills of the Himalayas around water irrigation are getting the best outcomes in a highly challenging area. He said he hoped AidHub would help improve the way Not for Profits, and in particular international aid agencies run their programs. “At the end of the day, showcasing best practices and the way that we are, in order to do that you have to provide the technology for the aid organisations so that they can run themselves efficiently,” he said. “I believe it will be the catalyst for aid organisations to collaboratively work together or learn from each other to improve the way they run their programs. Morgan said he intended for the program to spread once it became more popular with funding organisations, creating a more detailed database. He said it would not be up to Not for Profits to sign up to using AidHub, but rather Governments and funders would dictate if it was the chosen method for funding applications. “AidHub is coming. This is a reality,” he said. “I don’t need charities to sign up to this. I really don’t. “My bottom line with this is I don’t care. What I need is the corporate world and Governments to take it on board. I believe I have more than sufficient buy in at this point in time for that to happen. “It’s very very simple. Let’s say a country or corporation has an aid budget and they say ‘you want to apply for funding? Put your application in through AidHub’. “When they apply through AidHub they fill out a document just as they would with any funding application. 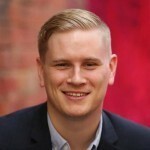 Morgan said he had “a great deal of confidence that the Australian Government will embrace this at the highest levels”, and that other Governments were looking likely to start using AidHub. “I can tell you that on our Board we have people from the United Nations that are either on or will be on it. I can tell you that on our Board we have a direct advisor to President Joko Widodo and his entire portfolio is responsible for efficiency and transparency in Government and AidHub is one of his highest priorities,” he said. Morgan said he had been working on AidHub for roughly the last eight months and he expected it to be launched either late this year or early next year. A spokesperson for Microsoft confirmed that the company was helping to create AidHub. “Microsoft Indonesia is providing support to AidHub with technology and services on a pro bono basis through Microsoft partners,” the spokesperson said. How is this different to other services procurement software? It seems very familiar to other commercially available products.